We often choose colors we believe to be an expression of ourselves. But the science of color psychology suggests that we might successfully select paints based, not on who we actually are, but on who we want to be. The practice of using color to influence health and moods dates back to ancient times, when it was thought that blue heals burns, yellow alleviates breathing problems, and red overcomes paralysis. Though it doesn’t support the bold claims of our ancestors, modern research has proven that, indeed, color can have dramatic effects on our mind states. By applying color theory in each room of the house, you can ensure, not only that your colorful abode is visually appealing, but also that it makes you feel great! As part of an experiment known as the cocktail party study, a group of designers and scientists developed a series of rooms, each with a different prevailing color. People gravitated toward the room painted yellow; here, they were more sociable than in the other two rooms. Being that the kitchen always tends to be a popular gathering spot, why not paint the room yellow to facilitate exchanges among friends and family? Alternative: Red. In the same study, participants were also quite sociable in the red room, where they reported feeling hungrier and thirstier than participants in other rooms. 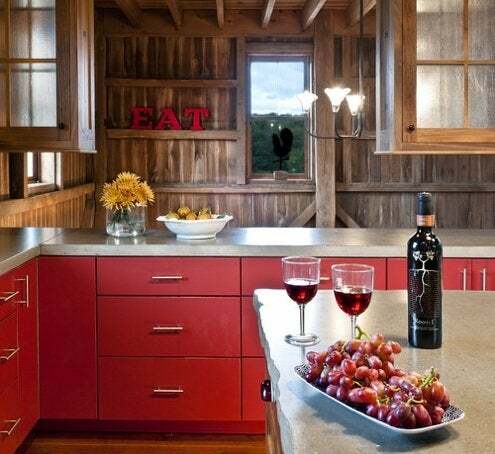 That fact suggests that red may be the perfect color choice for revving up appetites prior to mealtime. 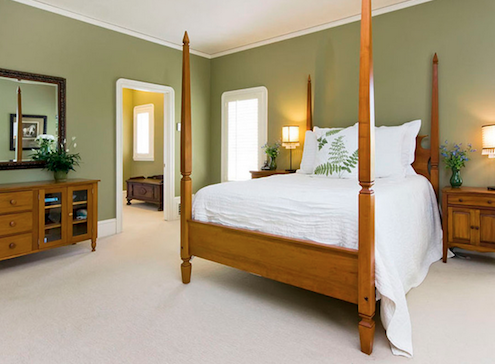 Green has long been considered a symbol of fertility, so it’s an obvious choice for the bedroom, even if your baby-making days are in the past. Ever wonder why talk show guests hang out in the “green room” before appearing on live television? Because green helps with the jitters; it’s been shown to reduce stress. Green has also been associated with enhanced reading ability—a boon for anyone who likes to curl up with a good book before dozing off. Alternative: According to studies, blue has soothing properties, as well. For centuries, people held the belief that red gets the blood moving. Turns out they weren’t wrong: Red is, in fact, associated with increased heart rate. 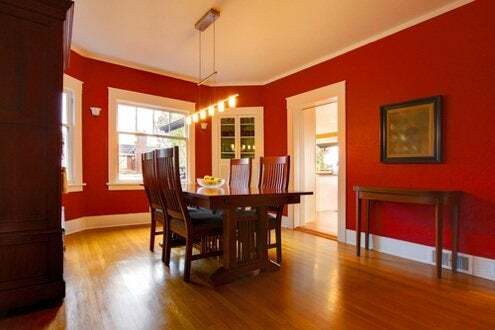 Another effect of red is that it stimulates appetite, making the color a natural candidate for use in the dining room. Red’s stimulating effects may lead to more lively dinner party conversation, but caution: Since red has been linked to aggression, too, steer clear of any topics that are especially contentious! Alternative: Orange exerts a similar, less intense influence on appetite. We usually try to avoid “getting blue” in the office, but doing so may not be such a bad thing. If you work from home and frequently need to access the right side of your brain, then bear in mind that blue bolsters creativity. 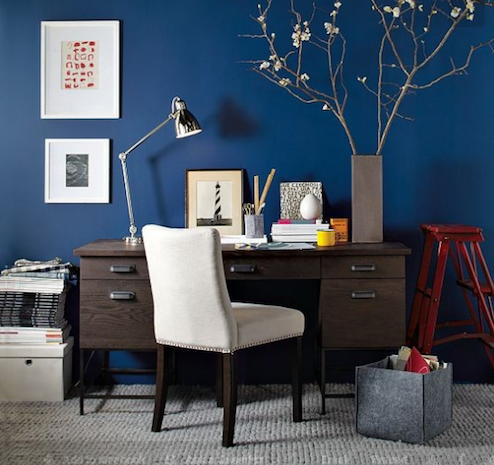 Another beneficial side effect of blue, particularly in the home office context, is that research indicates the color is calming. Alternative: Red. Its stimulating qualities can help you avoid mid-day slumps, and its aggressive tinge might give you the edge you need. In addition, studies correlate the color with improved memory and accuracy in detail-oriented tasks. Because the living room hosts a variety of experiences, from rollicking Sunday football games to quiet candlelit nights, it’s best to go with a neutral color. 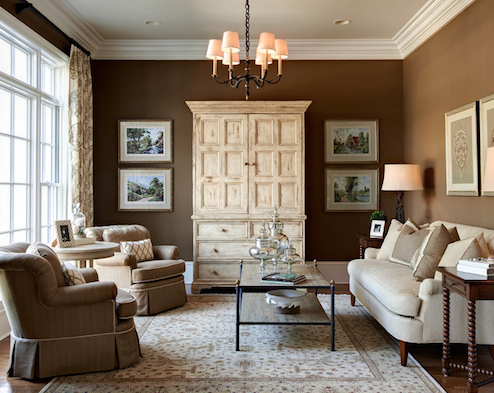 Browns work well, because while fading easily into the background, they also create an overall sense of solidity, security, and warmth—perfect for a room at the heart of a home. 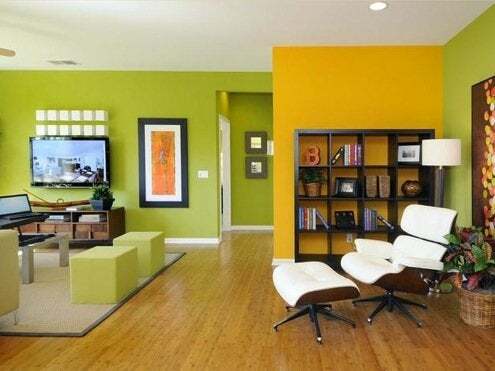 Alternative: Green, often as refreshing as it is soothing, remains supportive of the living room’s mood, even as that mood changes throughout the day.